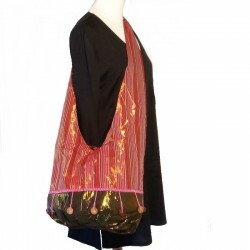 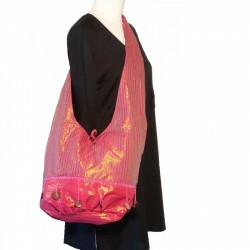 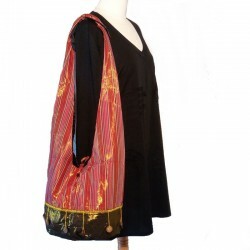 Maroon with golden bottom cotton shoulder bag with nice golden reflection, embroidered yellow beaded stripe with coconut button. 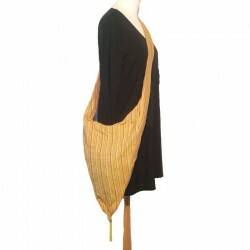 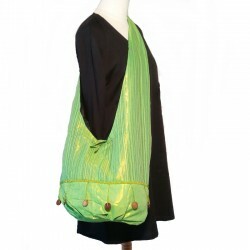 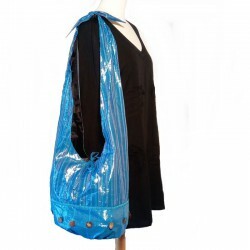 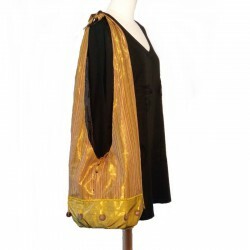 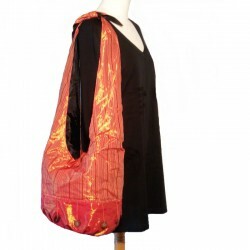 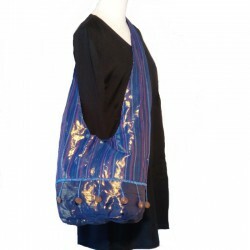 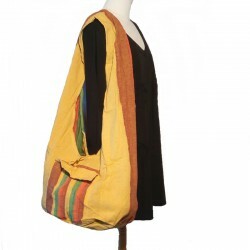 Original ethnic bag handmade in Nepal. 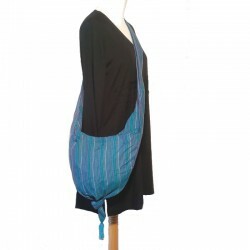 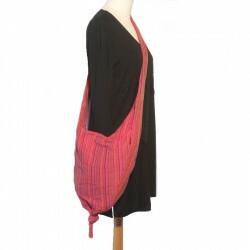 Twine closure, adjustable strap by a knot system and a zipped pocket inside.